What’s that strange dark bundle rolling across the sand? Pedro and his mum rush to find out. Following animal tracks to see where an animal leads you is a wonderful journey with a child. 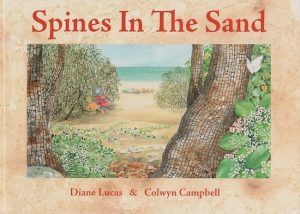 Another nature-based children’s book from Diane Lucas, her titles include Walking with the Seasons in Kakadu, Waterlilies and Brumbies in the Night.